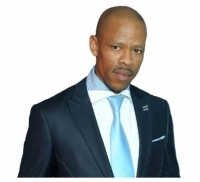 Martin Manamela is an exceptional Motivational/Inspirational Speaker, Entrepreneur, Educationalist, and a Life Coach who specializes in Personal Development and Identity, Branding, Mentorship, Relationships and Marriage Counselling, Effective Communication, Leadership and Customer Service. He is also a social entrepreneur. Martin has spoken on many radio and TV platforms. His hard work and a willing heart to develop other people has earned him the 2016 SA Best Man of the year finalist hosted by the Department of Social Development. He is the managing member at Positive Drive Initiative. Martin started SOMAP a manufacturing firm where they produce cleaning product. Martin is also the managing director of Artsy Craft, a company that produces furniture. He is also the host of “Book Review Show” on Tshwane TV, a show he created for to profile South African authors, especially those who struggle to market their books. He is also busy establishing school libraries. Martin gives free mentorship to young people who wants to go into business, upcoming authors and poets. He has written seven books: Rejection is Direction, From Process to Progress and Failure, Success & You (which focuses on personal development and identity), Are You Married or Buried, Love Prescription, The Incredible Woman and Happily Never After (which focuses on building better relationships and marriages as well as strong family structures). Bookings: info@marriedorburied.co.za | Facebook: Martin Speaker Manamela | Twitter: @mtnmanax | Instagram: Manamela Martin.